Rosie Howard and Galloping Acrobatics Secure Sponsorship from HorseHage and Mollichaff. 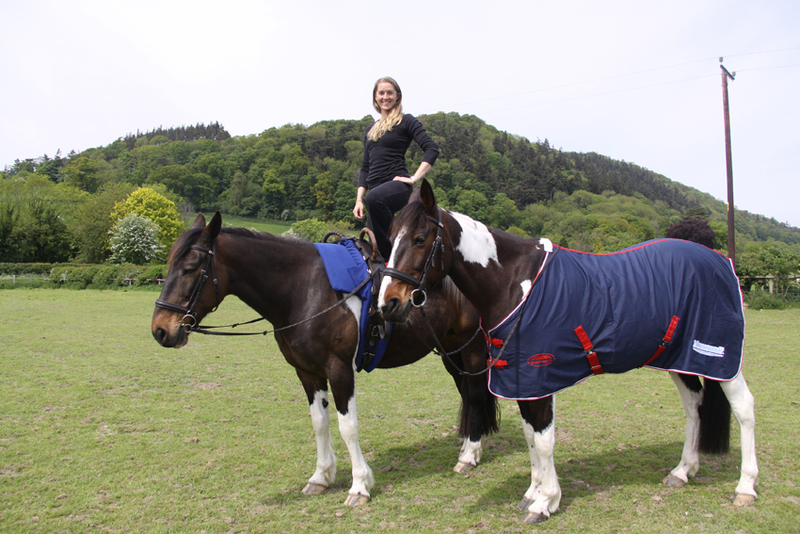 Former British vaulting team member, Rosie Howard, and her team of horses who appear as ‘Galloping Acrobatics’ at shows and events around the country have secured sponsorship from HorseHage and Mollichaff. The horses are being provided with High Fibre HorseHage – a dust-free bagged forage which is low in starch and energy and high in fibre, and will also be fed on Mollichaff HoofKind Complete during the winter months. Her team of horses consists of two Warmblood Cross geldings, Tinker and Casper, who both currently appear in her shows and she is also bringing on two eye-catching Austrian Noriker geldings, Max and Moritz, who will eventually join the troupe. All the horses were bought as youngsters and Rosie has trained them herself. She is also a Level Two Equestrian Vaulting Coach and between shows she continues to teach vaulting to people from all walks of life and of all abilities. Galloping Acrobatics shows the amazing bond and trust between the horses and Rosie and her fellow team members, Helen and Imogen, and provides an unforgettable show for all ages. Mollichaff HoofKind Complete is made from a balanced blend of oat straw, alfalfa, fibre pellets with soya oil and biotin and contains all the vitamins and minerals a horse requires as long as it is fed at the recommended levels. 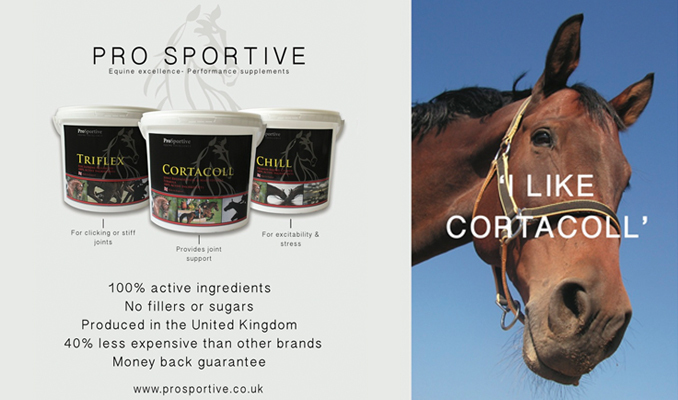 It’s low in starch and sugar and provides a low level but high quality protein and is suitable for horses and ponies prone to laminitis. To find out where you can see Rosie and Galloping Acrobatics in action, please visit her Facebook page ‘Galloping Acrobatics’.